I have been enjoying my immersion into women’s history this month via books, documentaries, music, magazines and whatever I can get my hands on and it has been fun. I recently watched the documentary “What Happened, Miss Simone” a Netflix documentary directed by Liz Garbus on my Kindle. I have a few of Nina’s music on CDs (yup, I’m old school too!) and was eager to learn more about this talented woman. I think that this film begins to answer this question. The film had so many footages from different performances. It begins in 1968 and has interviews with her as well as hear her music. I began listening to Nina Simone right after I finished college and I hadn’t known much about her but I heard one of her songs in a movie and then went on a hunt to find one of her CDs. I remember playing it softly in my office while I worked. But what I didn’t know then that I have learned from watching the documentary is that she was so much more than simply a jazz singer. Everyone has a backstory right? I just didn’t bother back then to find out. It seems that a common thread of brilliance when it comes to some of the most well-known artists, is tragedy. This video helps us explore many aspects such as racism, poverty and mental illness and their role in creating this amazing woman. Well this documentary puts things in perspective by placing the viewer back in the time when Nina was alive and first developing her talents. The first shocker is that she never wanted to be a Jazz Singer because she was a trained classical pianist and that was her first love. She even had aspirations to become the first African American female classical pianist. I didn’t know that it was her playing the piano when I listened to the CDs but the documentary let you see just how gifted she was. The second thing, I learned that while she was becoming an accomplished Jazz singer, she was actively involved with the Civil Rights movements. She was connected with all of the “well-known” and not so well-known activists. I also found out that she suffered from severe depression but due to bi-polar mental illness. This movie had interviews with her, her daughter, her husband, and people who worked closely with her so I felt it was able to give a more well-rounded perspective. The film shows the downward spiral and I felt heart broken watching at times. My only criticism is that I would have liked them to go into more depth in some areas – particularly her activist work. I thoroughly enjoyed this film and highly recommend it. I will now forever remember her as one of the most remarkable African American Classical pianist, Jazz singer and Civil Rights Activist. Click the photo at the beginning of the post to hear a popular song by Miss Simone called Feeling Good. Enjoy! Hi Belinda! I am so glad you posted this. I have always been an activist which I got from my dad. When I studied Women’s History, I was amazed at the stories of so many brave women who gave so much for the Rights that women have now. 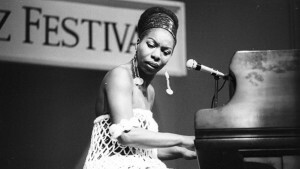 Now I want to see this documentary and learn more about Miss Simone. There seems to be a common thread of depression or mental illness in the greatest and creative people throughout time. I believe that still holds true to today. Hey girlfriend! I really enjoyed that documentary. I won’t lie, I did shed a few tears but I am known as a softie! I agree, there are so many strong women in the past and today that I want to keep on my radar. And I also agree about the depression and mental illness. Something that I hope continues to be better explored and recognized. Many people suffer today from the stigma and lack of awareness. Thanks for your visit which are always insightful and inspiring!